The white boot is officially the sleeper footwear trend of the last several seasons. Sure, red boots made a splash in fall, but in the background, white boots were quietly maintaining their stronghold on the shoe market — one they had since the fall of 2016. And if fashion month is any indication, the street style set’s love affair with this trend will endure well into spring. Meet your new go-to transitional shoe. The beginning of 2018 has seen fashion insiders all over the globe embracing the white boot. Whether it’s 60s redux or 90s nostalgia that first drew them in, we can’t be sure. But what can be confirmed is that this trend has all the makings of the ideal seasonal transition piece. In winter, it pops off of fuzzy coats and other statement outerwear pieces. On dreary days in early spring, it signals brighter days to come — and provides a more covered-up alternative when more barely-there shoes aren’t quite yet appropriate. Plus, there’s just the added bonus that white goes with everything. From denim to floral prints to bold hues to classic neutrals, there are really few outfits a white boot can’t find its way into. It’s the new black, we guess you could say. It’s clear that this trend has legs. 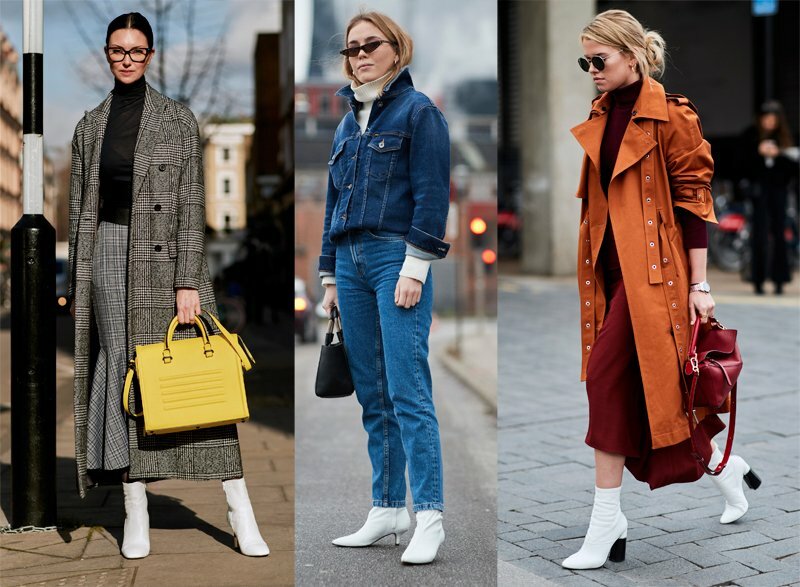 So if you’re looking for a quick and easy way to lean into spring and still be weather-appropriate, check out these 11 pairs of white boots.